There are so many beautiful natural locations and things to venture in this world, among them, the waterfall. It seems people are naturally drawn to water, falling from soaring cliffs or dropping in short bursts among a river’s edge. 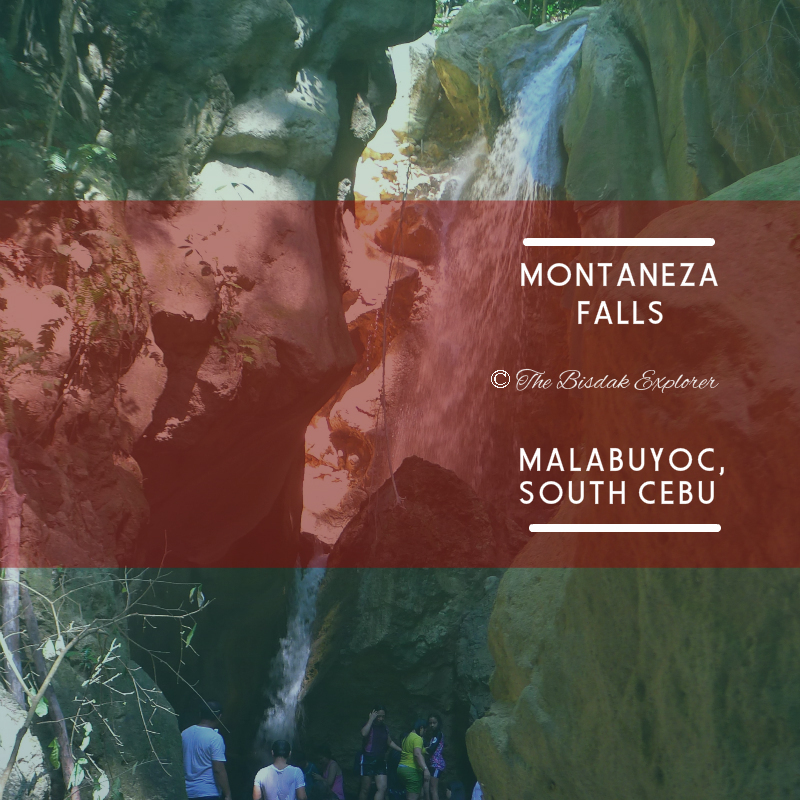 It could be on a local hike or traveling to an exotic location, many will trek miles to get an uncanny view of a majestic waterfall. Nothing compares standing at the base of a waterfall, with the spray in your skin and the deafening roar in your ears. Trying to find a waterfall can be an adventure in itself and when you arrive there you are rewarded with an majestic beauty of nature. Cebu happens to be blessed with this nature's marvel and I will try to cover all of them. Keep coming back here as I will try to publish new waterfall as often as I can and a guide on how to get there. I will try to alternate the content from famous waterfalls to a less known ones. Cheers to all waterfall chasers out there! 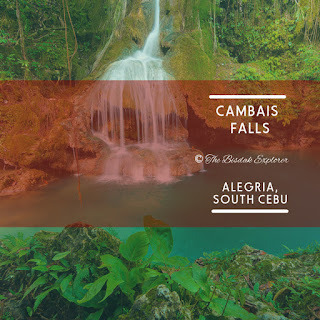 A waterfall chaser friend Elei Mathew Tatad compiled this amazing list of all the known waterfalls in Cebu. I don't how he come up with it but it is really impressive. You can follow his adventure in Instagram @iameleimath and he is determined to build a travel portfolio over IG and so far he is doing quite well. I won't be following the list in that exact order on this blog but I will be highlighting the waterfall that we have covered here by making the font bold in the impressive list below. Sadly, the super typhoon Haiyan have changed it greatly. I've been there recently and I must say it has lost its old charm. The second level was almost unrecognizable because the super typhoon have stripped the vegetation and carried some gravel altering it completely. This waterfall has special place in my heart because this is the first ever waterfall I have laid eyes on and lots of fond memories remained here that I love to reminisce. How To Get There? From Cebu ride a bus in South Bus Terminal going to Samboan. 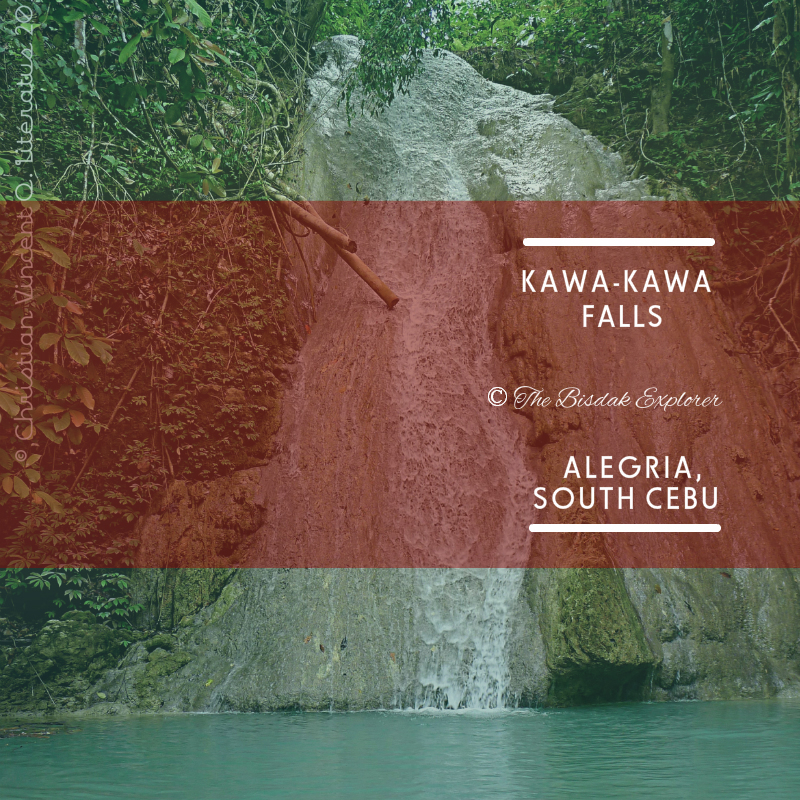 Inform the driver to drop you off in the entrance of Kawasan Falls. An old church stand near its entrance as the most known landmark. It is impossible to get lost here and the trek is a walk in the park. You don't even need a guide if you follow faithfully follow the trail. We've just visited this waterfall yesterday. I was amaze of the biodiversity and the potential for tourism in Alegria if only the government will put an effort to support a drive to advertise them out in the open. 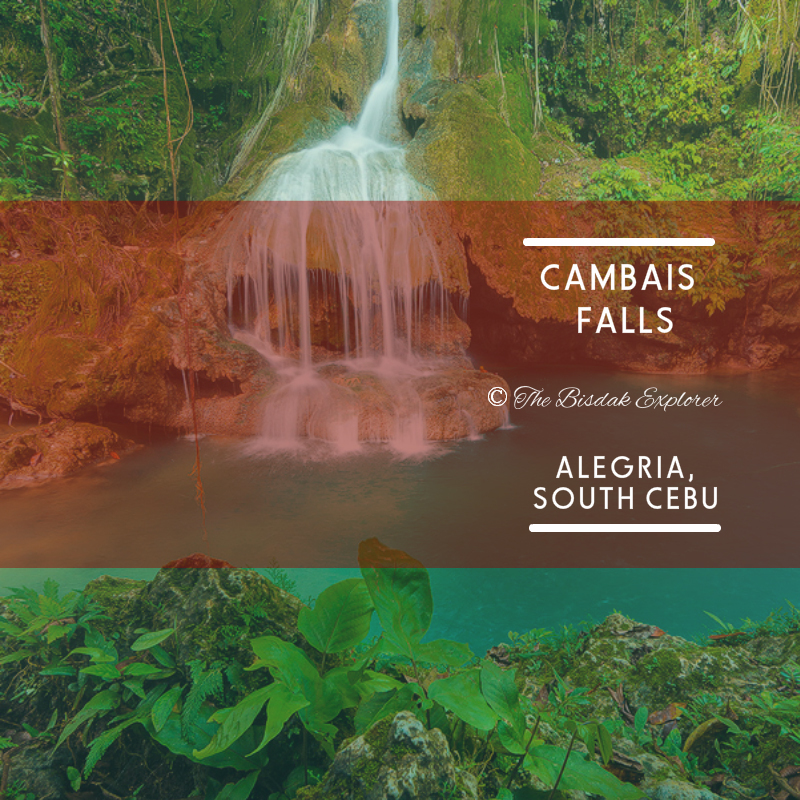 Cambais Falls stand tall as the main attraction in this town. Oddly enough, it is somewhat related to the previous waterfall I featured because they share the same river thus sharing that stunning color of the water. 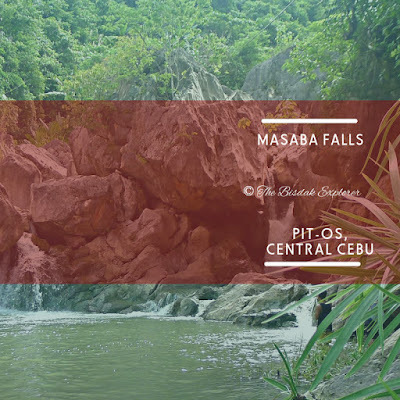 You will walk a one kilometer scenic trek to get to the waterfall. It has three levels and the third one *picture above* is by far the most beautiful of the three. I can highly recommend this for a group of friends because getting there is an adventure in itself and you get to do an adrenaline-pumping cliff diving and enjoy its super cold water. How To Get There? Take a bus in South Bus Terminal going to Alegria. It is around 3-4 hours of travel depending on the traffic. Once you arrive in the town you can easily find habal-habal drivers everywhere to take you to Kambais Falls. Be wary though, knowing that you are tourist who know nothing of the rate, they can overcharge you. We got deal of Php150.00 per habal-habal good for 3 pax and it could be lesser if you know a local in Alegria. The habal-habal trip is around 20 minutes and another 20 minutes trek. How To Get There? Take a bus in South Bus Terminal in Cebu going to Barili. The travel time is somewhere around 1.5 to 2 hours. Get off in the bus terminal in Barili where you can see the huge Shamrock signpost for their hotel. Take a habal-habal from here to take you directly to Mantayupan Falls where you will pay the different fees. I know what's in your mind if that is all there is to it and my answer would be "no". I wouldn't even count the picture above as a waterfall but I have no other visual cue of this place. This spot became known not because of that mini falls but the refreshing waterfall inside one of the chamber in the cave. Yes! 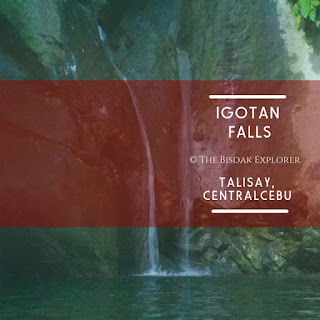 there is waterfall inside Igotan Cave and the experience we had is priceless. For those not a fan of spelunking you shouldn't worry because it is super short and bathing of a waterfall on pitch black is something you can never forget in your lifetime. How To Get There? From the city you may take a bus going to Talisay in South Bus Terminal, a taxi from anywhere in the city and the cheapest option would be taking a jeepney. The travel time is around 15 - 20 minutes. Get off somewhere near the overpass / flyover in Talisay. Approach the habal habal drivers near the Mercury Store to take you in Campo Tres. The fee is somewhere around Php20.00 and usually takes around 10 minutes of bumpy habal-habal ride. In most cases, the driver knows where to take you and instruct you in how to get to the cave. In case he doesn't know just instruct him to drop you off in a metal bridge in Campo Tres then cross the bridge keep going right following the river and you will noticed an uphill climb in the left. Take that path which lead you to a small gate with a signpost outside of the name & fee. Arguably, one of the most accelerating experience I've ever had in a waterfall. 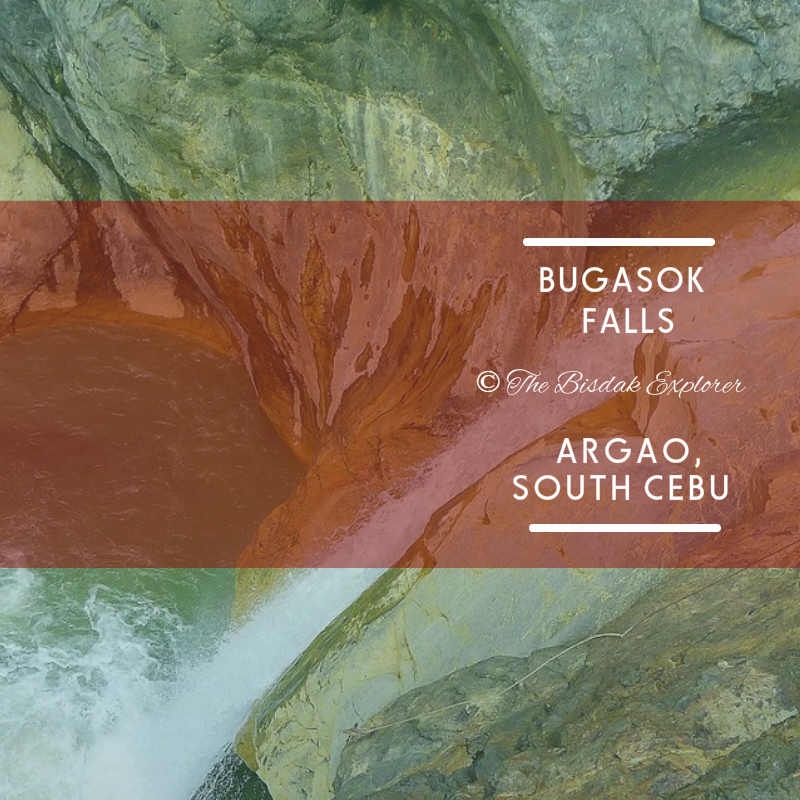 Just standing at the edge of Bugasok Falls makes you feel dizzy and cause shivers down in your spine but the adrenaline rush it offers is unbearably hard to resist. You will battle voices in your head tempting you to jump but the logical side remains hesitant fearing for your life. That is how the experience was like for me and sadly it was prohibited to jump at that time we got there because the water is so shallow caused by the dry season. For tourists, there are two ways to go down either the 72 meters death defying cliff dive or the tedious route of rappelling down aided by a guide. 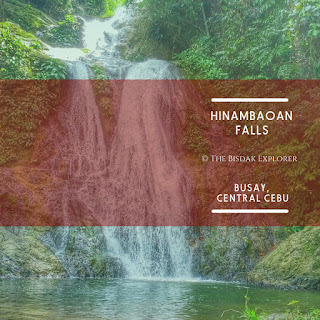 You are required to pass through the tourism office to get here for your safety because recently the waterfall claimed the life of a drunkard when he fell off the cliff without the precautionary measures from the guide. How to get there? Take a bus in South Bus Terminal going to Argao around 2 hours of estimated travel time for only Php 76.00. In the town of Argao you need to hire a habal-habal to take you to its drop off point for a fee of Php 160.00 per habal-habal one way. The trip usually takes around 15-20 minutes. You need to head over to the tourism office first to pay Php 20.00 entrance and the guide which you will pay separately. You may need to negotiate first for their fee to come up with a reasonable deal. 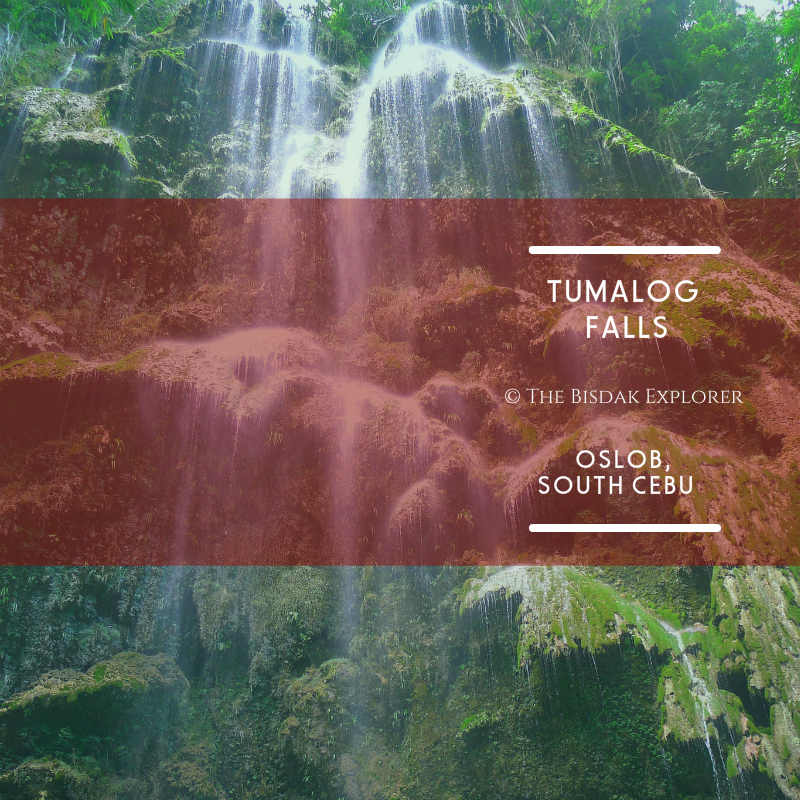 The habal-habal will drop you off near the signage and you need to hike around 10-15 minutes to get to the location of Bugasok Falls. 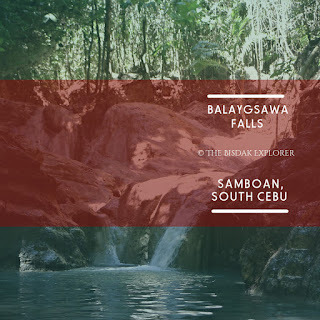 You may need to visit Balay sa Agta as well after the waterfall and do river trekking in going back to the town. 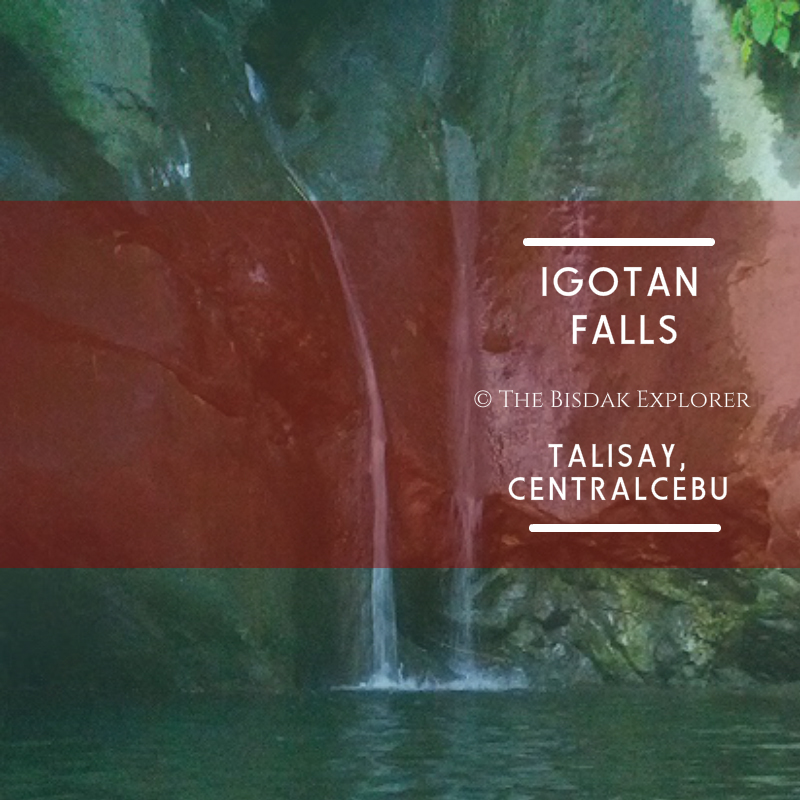 This is a much lesser known waterfall that is quite easy to visit from the city and will only cost you fifty pesos. 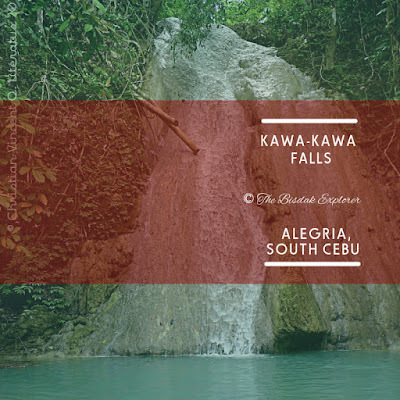 According to the locals Kawa Falls originated from a sink hole which formed a long time ago. It is a fun spot perfect for a day trip with a group of friends which doesn't require a big budget to have a good time. The sink hole created a natural pool which you can do some cliff diving and enjoy its super cool water. Don't expect much from the place but instead make sure you have a fun companions to go picnic with. How to get there? 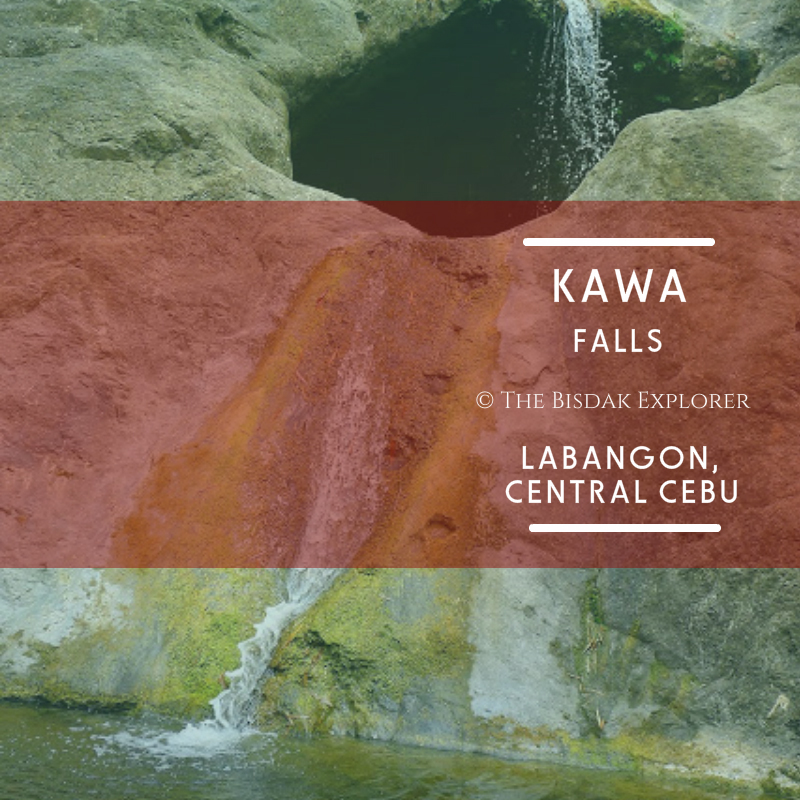 Kawa Falls is in Baranggay To-ong which is technically located under Pardo but it can be easily be accessed through Labangon. Just ride a jeepney going to Labangon ( 12L from Ayala ) then ask the driver to drop you off in Jollibee Labangon and from here you can find a lot of habal-habal drivers to take you to Baranggay To-ong for Php 25.00 per pax *they usually require at least two people in one habal-habal* Once you arrive in the baranggay you can ask the locals to what route to take going to the waterfall which only takes around 30 minutes. The trail is super easy and you won't likely get lost. Aguinid Falls surely did brought out the kid in me and I never had that much fun in a waterfall before. This is the Disneyland for waterfall chasers because this attraction is purely focused not as a visual spectacle but more in exploration and having fun along the way. You will spend most of your time here navigating the river en route to the main waterfall. Along the way you can do everything you can think of like cliff diving, rock climbing in a waterfall or just have a rejuvenating bath with the watchful eyes of your guide. Aguinid originated her name from a lad who disappeared here and was never found decades ago. The folklore says he was abducted by the encantanto *local elves* which have protecting this beautiful realm. The path have been modified by the local tourism to ensure safety by the guest but you will hardly notice it because the visual appeal was kept intact. Aguinid Falls have five levels to traverse which are conveniently labeled to give you an idea where you are and how many more you have to go. This spot is famous in Samboan and is highly regulated by the local tourism so that is why I can highly recommend it for a family trip because it is quite safe. Once you arrive you will just pay the entrance fee and be assigned a guide. Bringing of food is discourage to keep the waterfalls free from any garbage. Rest assured there are a lot of vendors outside to keep you from getting after an adventure. TIP! Heading really early around 7 am or avoiding weekends & holidays can make a huge difference with your experience. The experience is so much better with less people. How to get there? 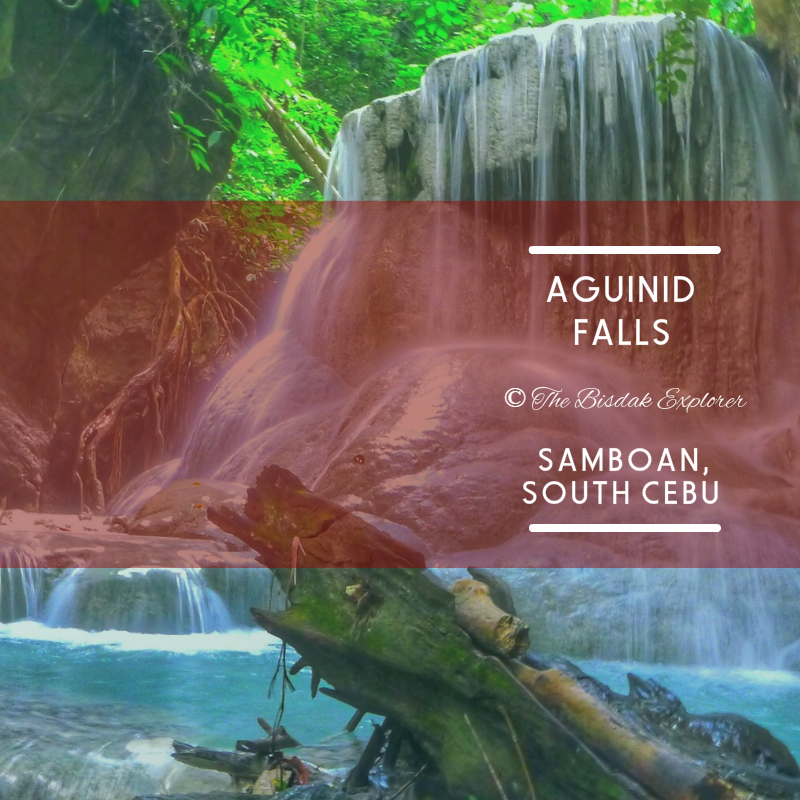 Aguinid Falls is located in Samboan ( a municipality in the southern part of Cebu ) which takes around 3-4 hours of land trip. For those who have private vehicles it will save you some time but for commuters it is not that hard as well because it is just walking distance from the main (less than 5 mins of walk). Head over to South Bus Terminal and ride a bus which has a Samboan sign. The bus rate is subject to change but usually around Php 170.00. Just let the bus driver know to drop you off in the entrance of Aguinid Falls. 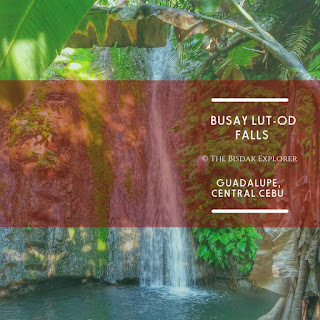 Waterfalls are not just wonders in nature but a blessing for hikers as well and the best example for this is the Busay Lut-od Falls. 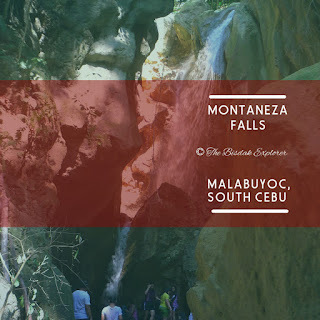 Perfectly located in the trail going to the highest peak in the city of Cebu - Mount Babag. She has three levels and the small cascade is just right to give you rest and solace midway in a wearisome trek. Take in a refreshing cold dip on her water then you will definitely be re-energize to take on the remaining miles of your climb. We weren't able to enjoy her water but we did take a short break in one of the cutest bench I have ever seen built in natural materials found in the area. 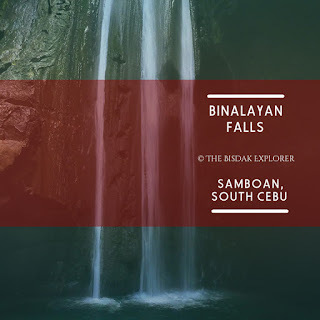 She's one of those simple yet elegant waterfall you will unexpectedly find in a bend suited to calm your nerve and a bonus eye candy in a climb to a peak. How to get there? This can be reached in a path to Mount Babag through the Guadalupe route. This is by no means easy to find. And it will take a lot of good navigational skill in asking directions from the local and an experience in waterfall chasing to find it. You can hear her cascade in the trail and go down in a dense path to reach the location. Perfect place to cool down in between the climb to Mount Babag. 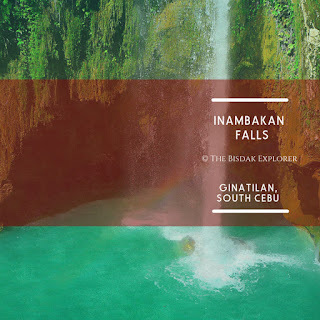 Nothing personifies beauty and majesty in this list than Inambakan Falls. She is massive towering more than a hundred feet and can tempt any tourist to experience her spectacle with an elusive show of a rainbow on sight. The rainbow usually appears around early morning or late afternoon when the sun is low enough to hit the waterfall which forms a prism of colorful light. Part of the allure with this waterfall is the wide catch basin she has which plays a big part in your enjoyment of this spot usually span from swimming against super cool water & strong current and an adrenaline pump cliff to its emerald clear water which she got her name. 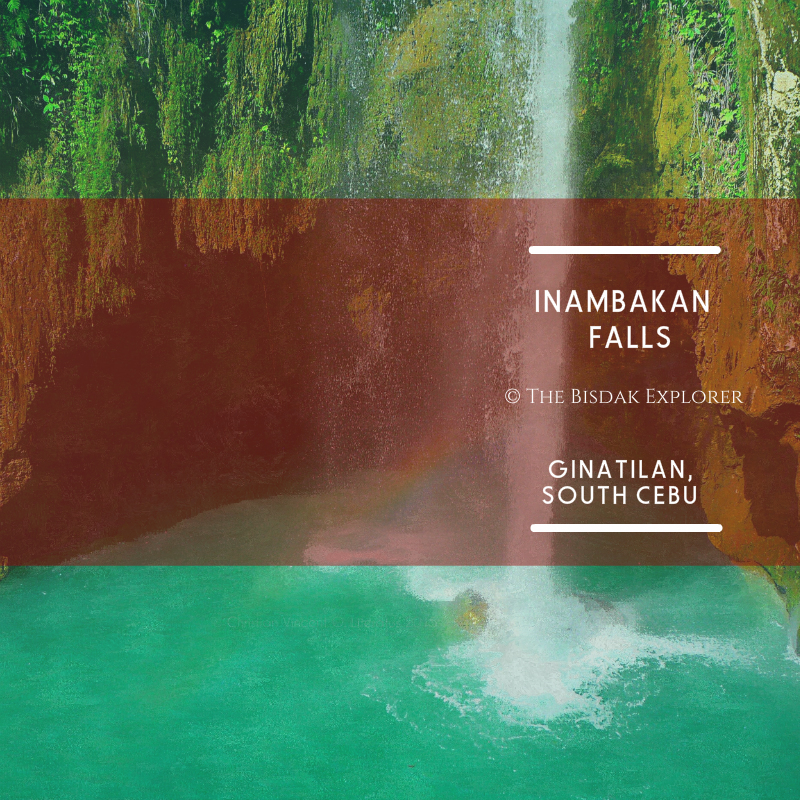 Inambakan in the local dialect means "to jump or an act of jumping" and this has served as a refreshing for the locals in Ginatilan for many decades. Words cannot fully describe the marvelous allure of this waterfall. The moment I first laid eyes on this spot (which is enshrined in a beautifully formed rock which look a lot like a cave) I knew there is hidden paradise here on Earth. The water falling on the side is like a curtain trying to limit your sight of the beauty which lies beyond those water. And on the center is the roaring plunge waterfall making a statement of power. There is so many rewarding things to do hear one of my favorite is floating in the water and admiring the vegetation & beautiful rock formation above me while keeping watch of the graceful flow of water towards me. Above that waterfall is an untold beauty waiting to be explored and the rainbow which appears late in the afternoon will put you in a picture frenzy. 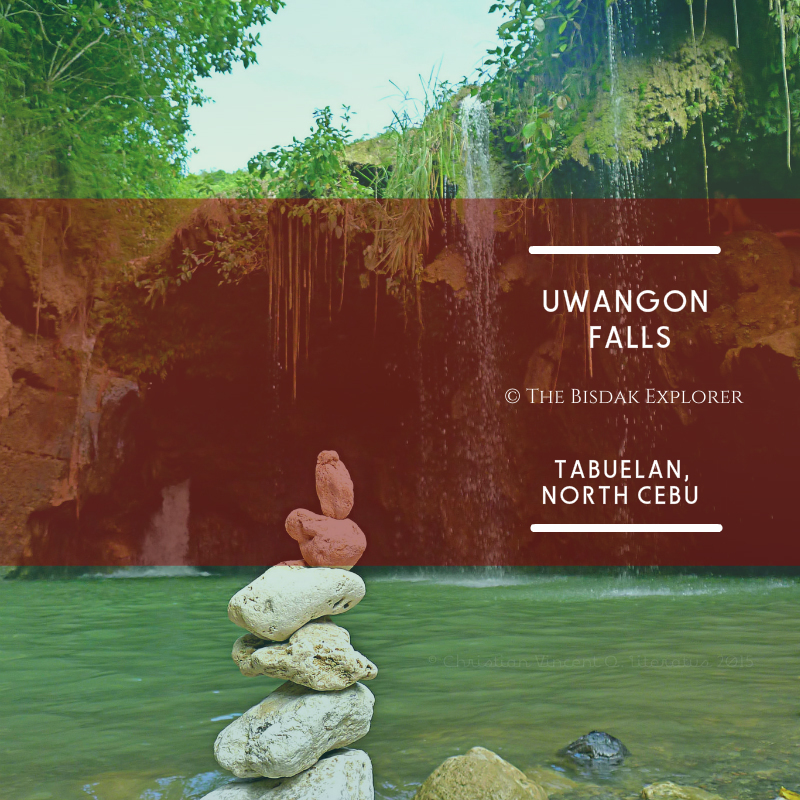 The delicate ecosystem of the river is home to the solitary fresh water shrimp locally called "uwang" and this is where the name of the waterfall is derived - Uwangon Falls. The uwang made this peaceful place as their utopia so we are bound by duty to keep it that way for those creatures so they can thrive for the next generation to admire. This spot is perfectly preserved and I am happy to report there is not a single graffiti on its exquisite wall. I hope explorers who will manage to venture on this spot respect it as we did and retain an innate responsibility to keep it out from the public's eye to preserve the area for those amicable uwangs and for the future generation of explorers. TIP! In the middle of the deep water there's a platform which serves a lot of good for non-swimmers who wants to get up close with the waterfall. How to get there? I cannot fully disclose how to get here because we vow to protect this fragile spot from the rampant abuse of men. 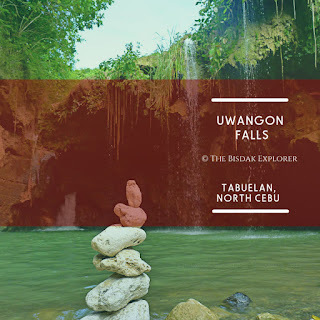 What I can say is it is in the town of Tabuelan (northern part of Cebu) and after that it involves a long bumpy ride and a short trek. The trail is not really that difficult to traverse but near to impossible to find unless someone guides you. Dau captured the heart of many and it surely continue to do so as this waterfall getting more attention lately. Da-o waterfall rests on the southern part of Cebu in a town of Samboan heavily known for majestic waterfalls. What sets her apart from other waterfall we are used seeing is her straight long cascade which resemble the hair of a woman. My companions go crazy with excitement the moment they laid eyes on her splendor but I was okay with it. 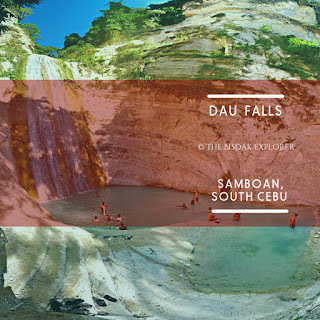 Dau's cascade averages more than a hundred meters but I was never really become a fan of the main waterfall because it surely look like a man-made dam for me but what I found most pleasurable is the scenic trek. I can say with a complete certainty that it is the best trek going to a waterfall that I've ever had. We passed through dizzying scenes of beauty that we usually see in nature documentaries. My senses were not ready for such grandeur at that time that I usually blackout admiring the loveliness of the rock formation and in turn I got left behind by the group. My favorite part is the water slide which form naturally along the way and I did tried it on the way back to town. One thing I can guarantee is that Da-o Falls will surely leave you beautiful memories which will keep you going in this challenging life. How to get here? Samboan is in the southern part of Cebu. For commuters you may opt to ride a bus in South Bus Terminal and drop by in the main town. The bus trip will most likely take around 4 hours. In the main town you can find a lot of habal-habal drivers who will gladly take you there for Php 60.00 per habal-habal (you can divide that depending on how many of you will fit in one) You will be drop off in the main entrance of the waterfall where you will be paying the entrance and a scenic 30-40 minutes of hiking will follow to reach the waterfall. If you are not a good navigator you may opt to hire a guide near the entrance. 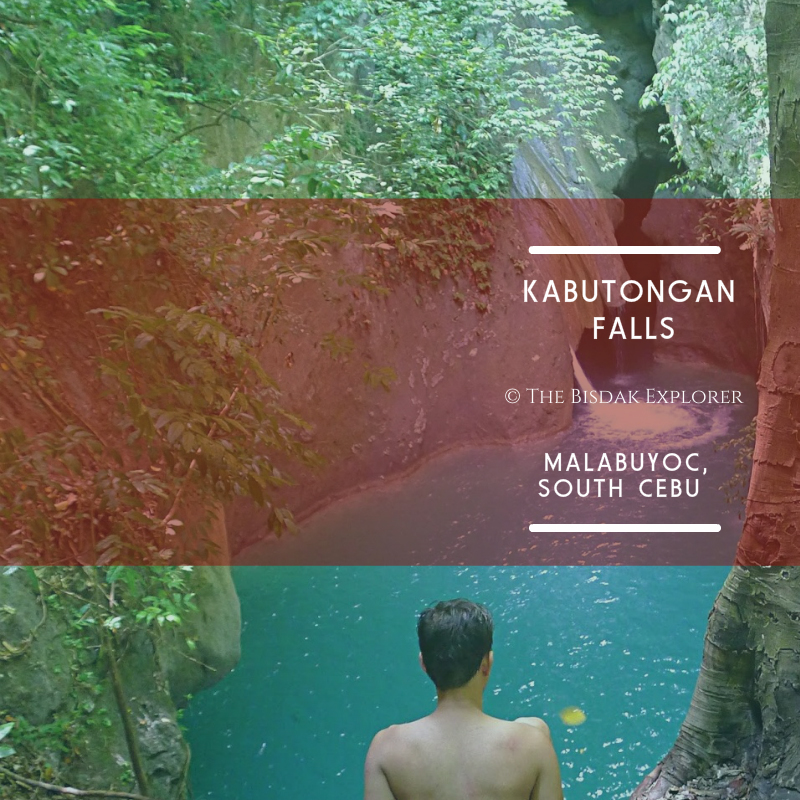 Bonbon Falls is a beauty very few people may be able to witness and is named from the baranggay where it is located. Some locals living near the waterfall calls it as Hinambaoan as well. 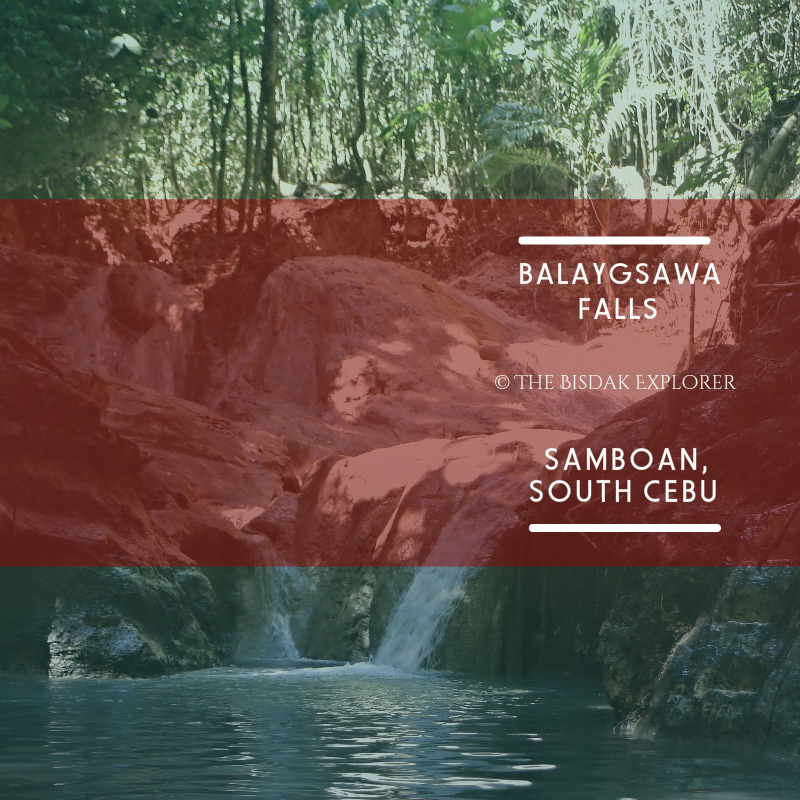 It is hidden deep in a lush jungle in Baranggay Bonbon and getting to the waterfall is no easy feat. 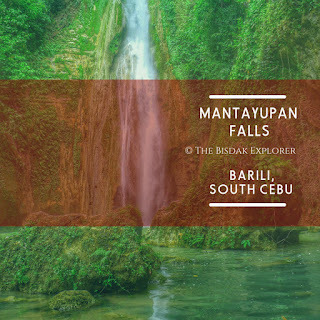 This is part of our earliest waterfall chasing adventure by Project Waterfall and one of the first few unknown waterfall in Cebu we've introduced to the public. She has a really beautiful cascade that left us all in awe when we got to the spot and her own catch basin is deep enough for cliff diving and other waterfall activities you can think of. 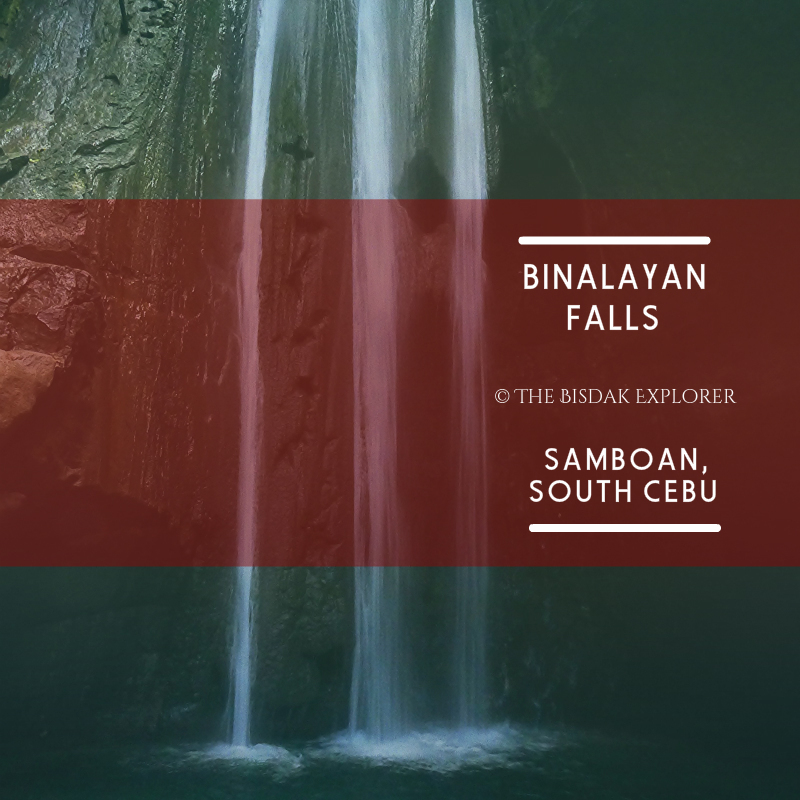 Bonbon Falls is known to only appear during rainy season and usually dries in summer days so plan your trip well if you want fully experience her beauty. And I must repeat getting here is not easy at all which took us almost three hours of river trekking and in some parts it can get real dangerous for the newbies in this kind of activity. I highly advise you get a guide before heading here to avoid getting lost or any form of injury. 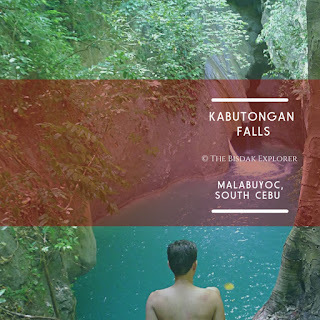 One of the most rewarding river trekking I've ever had in Cebu is in Budlaan river system. They have a series of numerous waterfalls as we go upstream and one of the most beautiful & majestic is Kabang Falls. The waterfall is a classic horsetail ribbon type which has a long cascade that remains in contact with the rock most of the fall. The water source of the waterfall came from the Kabang river that is where it got her name. The most distinct feature of this waterfall is the cave hidden behind the cascade. What makes it so enticing is it can be reached for less than an hour from the city of Cebu if you manage to find a good guide and costs less than Php 100.00 for the whole trip. She is a very tricky waterfall as well because if you come during the peak of summer it dries up completely and come in rainy season you will hard a time and water will be all muddy. You must plan your visit in the perfect to truly enjoy the experience. 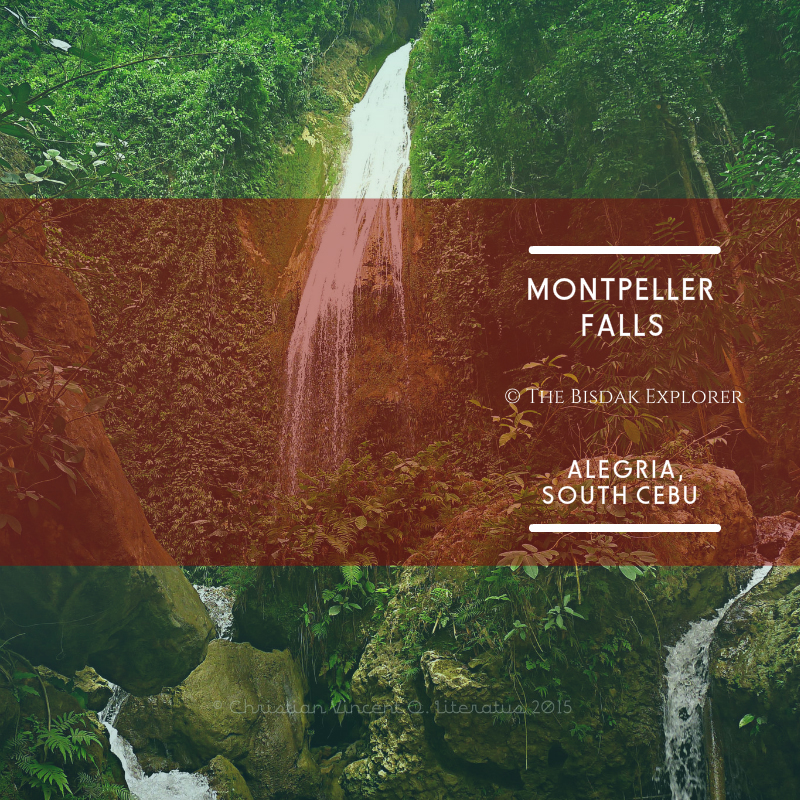 Montpeller Falls is a sweet surprise for my personal experience with it. Alegria is filled with so many beautiful spots already that I did not expect one spot such as this beauty can be overlooked and has potential to top all other spots. The moment my eyes witness her beauty spiraling down a cliff of around a hundred meters I knew we hit a jackpot of an unspoiled waterfall that very few people at that time experienced. She is a classic plunge type that beautifully pummel down in a huge rock as if eagerly waiting for her embrace. If I am not a mistaken a lovers myth can easily be told between the two because I am just amaze of how the rock perfectly placed to receive the flow of Montpeller Falls. The beautiful green foliage around her made the spot surreal and perfect as well for a creative shot. Ultimately, it was an another beautiful experience for all of us waterfall chasers which fuels our aspiration more in search of such spectacles in nature. 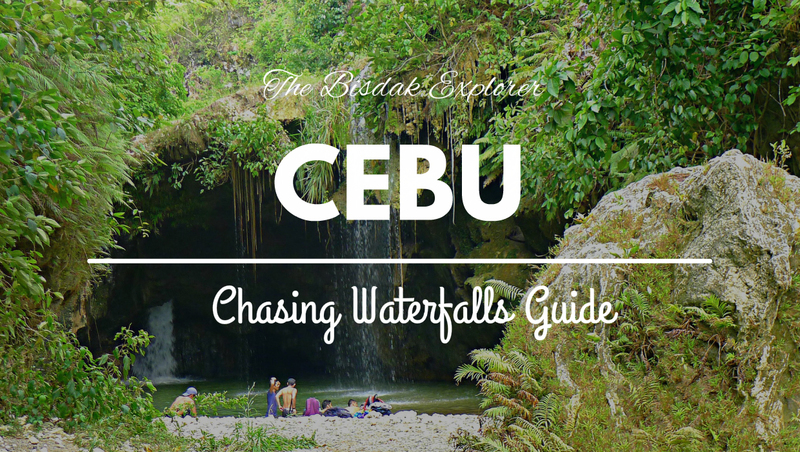 I made a detailed guide of this waterfall in my other blog post you can visit. 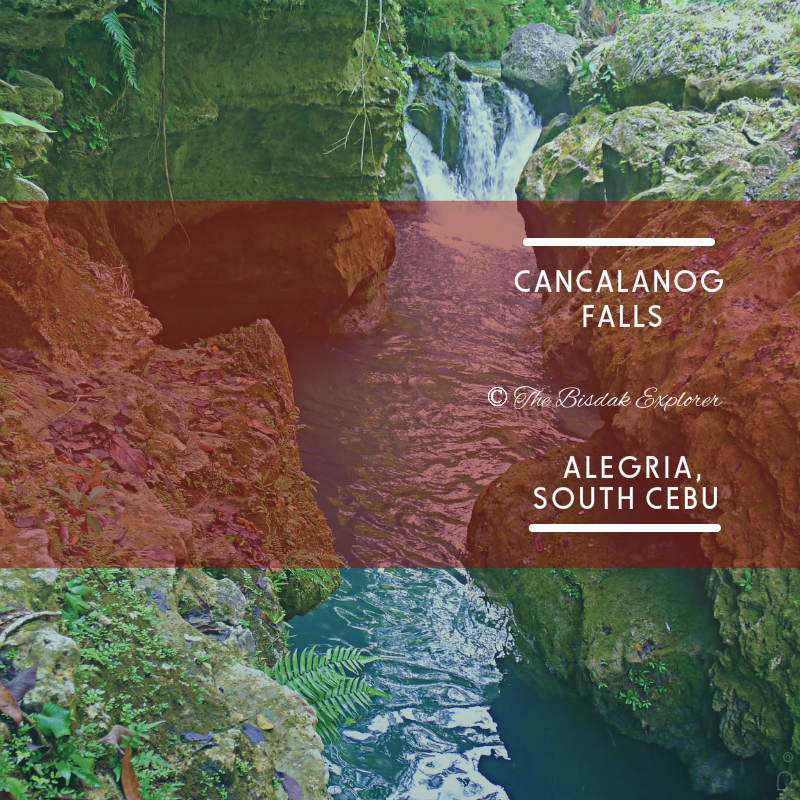 Cancalanog is an embodiment of fun and beauty. I'm at loss of words the moment I laid eyes on her splendor. The water glows from an emerald to sapphire hue depending on where you are standing. This phenomenon probably made possible by the minerals in the water or the rock which surrounds her. I surely have no way of explaining such beautiful occurrence in nature. 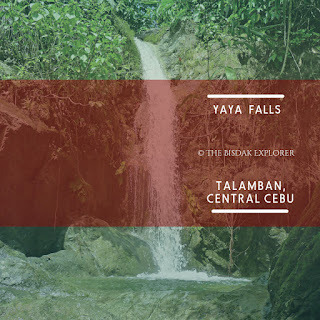 I made a detailed guide of this waterfall in my other blog post that you can visit in the link below. 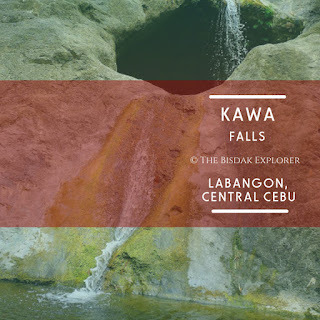 Kawa-Kawa Falls is a fan horsetail type of waterfall with her water spreading like a fan and remaining in contact with the rock in most of the flow. It took us five minutes of trek from the main road and she has three levels. What I admire of this waterfall though is the dreamlike color of her water *a muted version of Kawasan's color* and she is a perfect place for adrenaline junkies. Some of my companions literally jump *not slide* through that slippery rock into an uncertain water. I made a detailed guide of this waterfall in my other blog post you can visit in the link below. Tumalog Falls is the probably the second most famous waterfall in Cebu and rightfully deserves so because of her beauty. 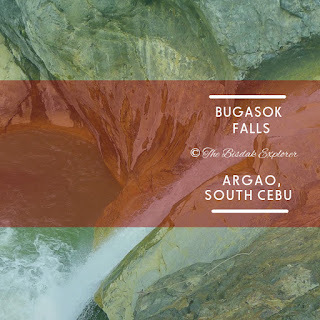 The best part of this waterfall is its really safe for children to swim around because the water is quite shallow and wide enough to accommodate a lot of visitors. 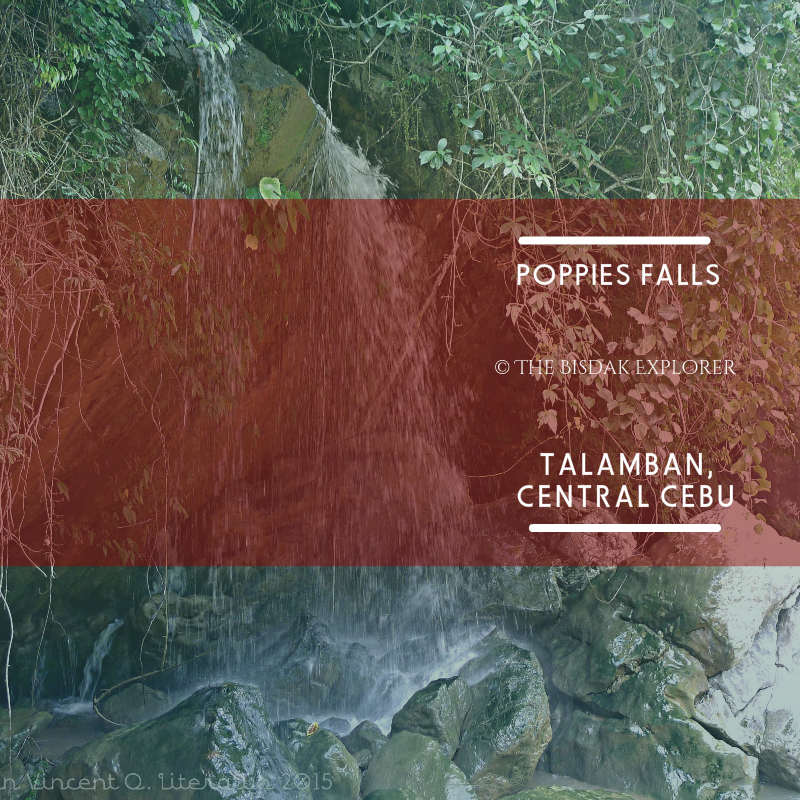 In terms of beauty, this waterfall easily earned a spot in my top favorite waterfall in Cebu. This is a must visit after your butanding ( whaleshark ) experience. 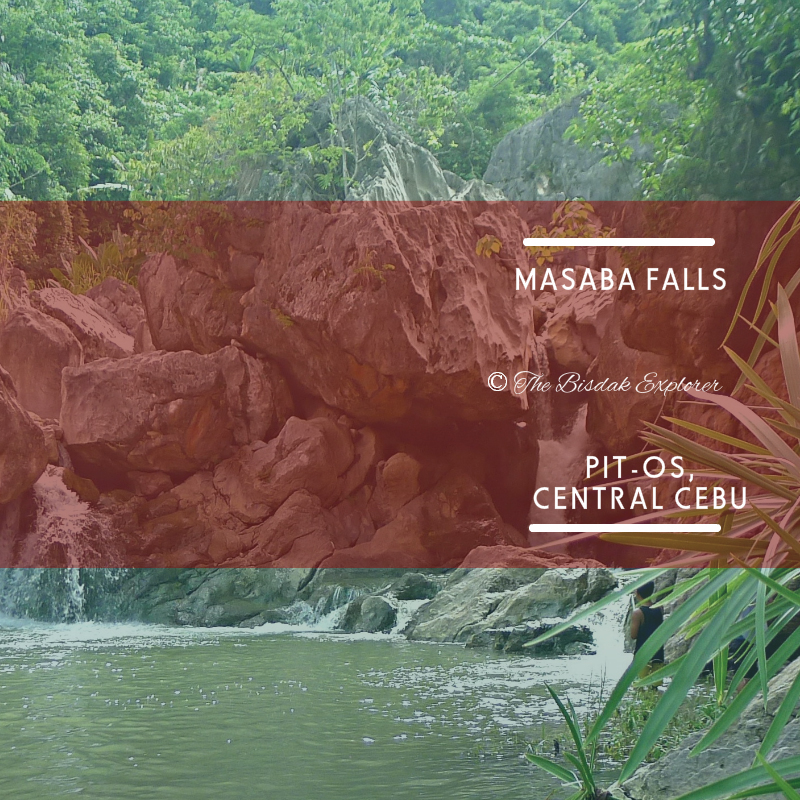 Majority of the habal-habal drivers in Oslob knows this waterfall and will gladly take you for Php 150.00 per pax. Linaw Falls is quite difficult for an average tourist to visit. I was part of a big group when I visited this waterfall and it took us almost three hours to reach which include the commute and tricky river trekking. 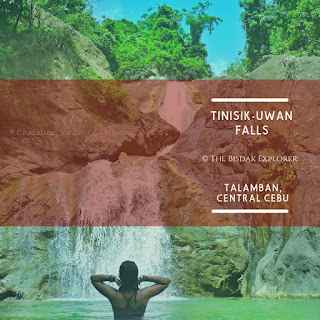 I wouldn't really recommend Linaw because the waterfall is not all that interesting and the basin's water is not at all that inviting even for our weary body to swim but if you're obsessed with waterfalls like I do then go ahead give this one a try. 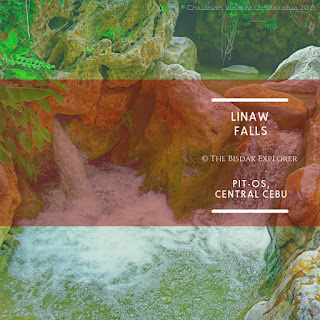 You can pass through one waterfall as well going to Linaw Falls. 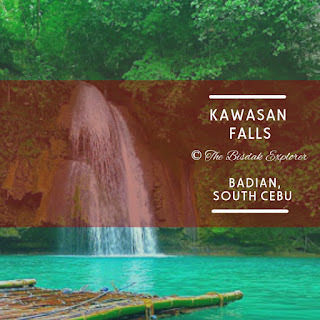 Kabutongan Falls is a sight to behold and the experience of reaching the waterfall is one unforgettable trip I've had in a summer chasing waterfalls. This one I highly recommend for people with a taste of adventure and still doable for regular tourists seeking somewhere beautiful. They now offer upstream canyoneering around this part which made it even more popular with people these days. The best part is it is so accessible from the main town in Malabuyoc with just a short tricycle or habal-habal ride. I have written a detailed guide of this in my other blog post click in the link below. My experience with Lusno Falls is not at all pleasant because I visited this waterfall when it just rained the night before and was not properly equipped for the muddy trek. I remember walking barefoot for almost two kilometers in a muddy road because I couldn't use my slipper for the fear of it getting stuck in the mud. The trek would normally be over for less than ten minutes but it took us almost half an hour for ours because of the muddy trail. I would really love to say that the experience was worth it when I reach the waterfall but it was not. According to the locals, Lusno Falls has been badly ravaged by a typhoon that she has lost her former beauty loved by the people in barangay Langin. Getting here is rather easy just take a bus in South Bus Terminal going to Ronda for Php 90.00 and then hire a habal-habal driver to take you to the basketball court in barangay Langin for Php 75.00 per pax and then you can ask around for the direction to the waterfall which the locals will gladly help you. 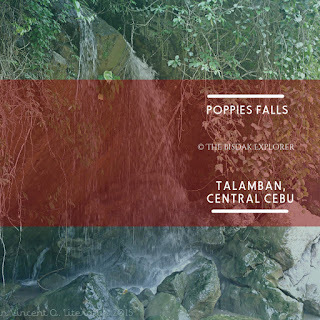 She actually has a very weird name that I decided to shorten it to Poppies Falls. 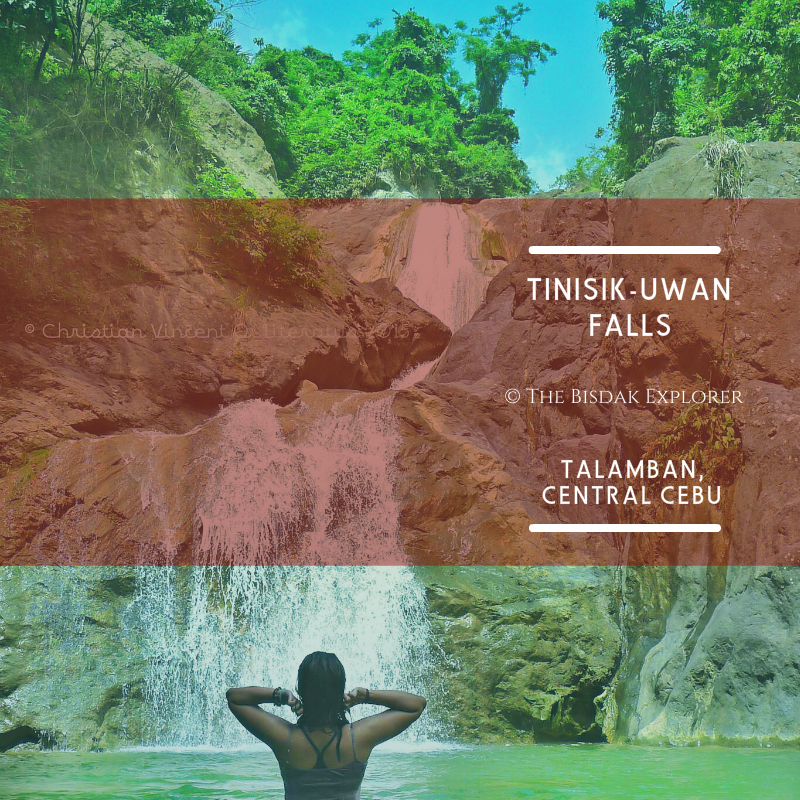 This waterfall is actually a bonus treat when you decide to conquer Linaw Falls because you will pass through her during the river trek. Poppies can easily be noticed because of the sound she makes and usually dries up during summer. Everyone in the group decided to cool down here by showering in her relaxing cascade and the flow is good enough to give us a soothing massage. Hidden Binalayan Falls is part of the three famous waterfall in Samboan along with Aguinid and Dau. This is closest to Aguinid Falls and easily be reached by foot. The signature look of Binalayan Falls is the triple drop and the best place to do a satisfying cliff dive because of the natural rocky platform in the side of the waterfall. There are also graffiti everywhere in the rocks hiding the waterfall which is really sad and it has now been her predominant feature. This is an ideal spot for picnics as well because there are tables and tire swings a few minutes of trek from the waterfall. The link below contains the detailed itinerary of this waterfall.